If you’ve ever managed to pack carry-on only for a 10-day trip (or even just succeeded in fitting everything into one suitcase and staying within the luggage weight limit) or spent Sunday night creating looks for the week ahead, then snaps to you! You’ve clearly experienced the utter joy that comes from planning cute AF outfits ahead of time. From the clothes, shoes and accessories, to killer makeup and the perfect lash to match, planning your look from “Lash to Toe” is the best way to make the most of your time, your wardrobe, your luggage space, and your morning snooze time. Here are a few outfits’ worth of cuteness we prepared earlier. You’ll find a beach/brunch day outfit, a work look, and something sparkly for happy hour and nighttime fiestas! As well as the threads, we’ve chosen some of our fave lashes for the occasions – ones that our Instagram glam fam love, too! For a day look, we like go all out (because why not!) 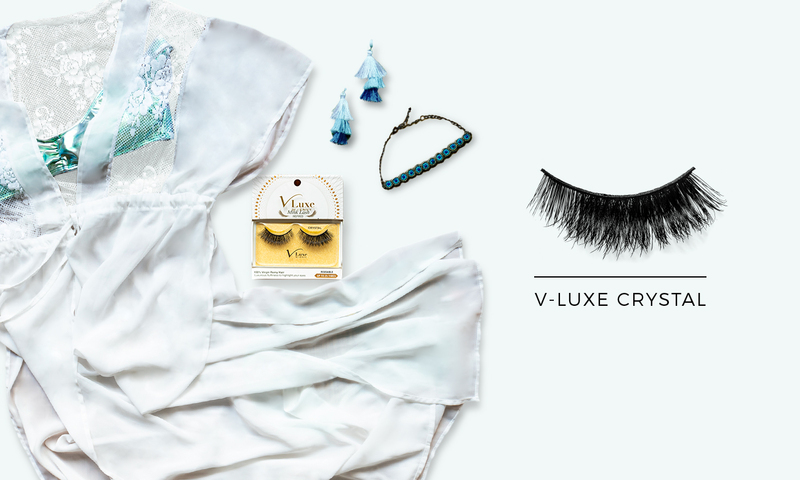 with our V-LUXE Mink Lash Inspired Crystal lashes. These handcrafted beauties are more than a little flirty and ready to help you slay the day! For so many of us, the right outfit makes work bearable. 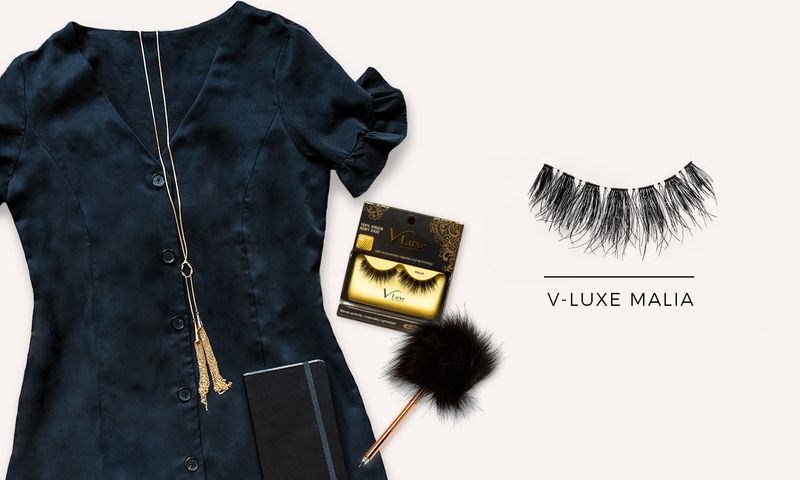 Pair yours with our V-LUXE Malia lashes – they’re an undisputed Instagram favorite thanks to their fluffy fringes and Tapered End Technology. Lastly, when you’re headed out at night, you’ve gotta to get those lashes just right! 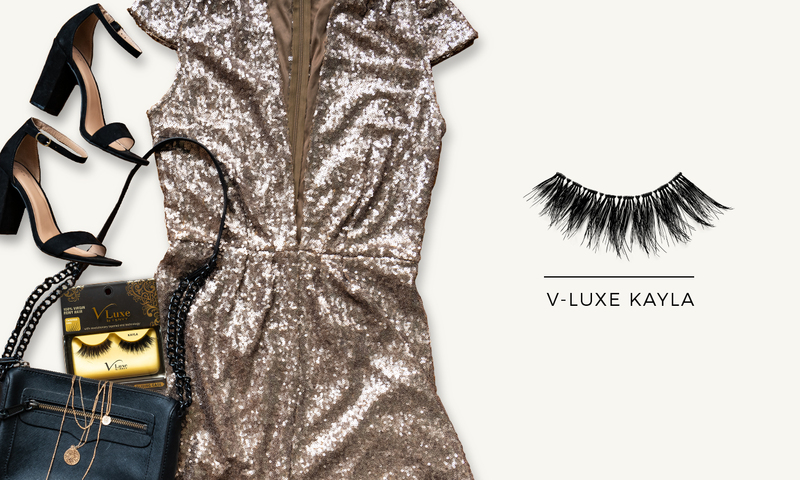 We recommend all the sexiness, volume and length of our V-LUXE Kayla lashes for your late-night turn up. If you’ve got #OOTD and lash inspo to match, we want to know about it! Share them on Facebook and Instagram and tag #ienvybykiss. Mwah!